The adjective "Janusian" comes from the Roman God Janus, the god of gates, entryways, beginnings, and endings. 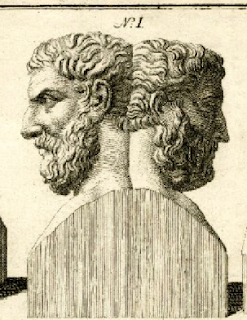 He is typically depicted with two heads, each facing in opposite directions. Because of this, Janus sees the world in an unusual way: he perceives the past and the future with equal clarity. Articles about Janus typically begin appearing in print and online in late December each year, as one year ends and another begins. The term "Janusian thinking" was coined by Dr. Albert Rothenberg in the late 1970s when he realized that many of the world's most creative people share an attribute of Janus: they are able to hold contrary perceptions and concepts in their minds at the same time. This practice of filling your brain with paradoxes and considering the myriad of possibilities is believed to open the mind and facilitate "out-of-the-box" problem solving. Such flexibility in thinking is important to the artistic process as well. It is rare that the muses give an artist the gift of fully-formed inspiration. In creating artworks, an artist more typically explores which of his many ideas are worth pursuing. He allows himself a significant amount of room for exploration and brainstorming, for paradoxes and dilemmas. Ideas flow and begin to more fully mature. With any luck, those ideas build upon themselves and give birth to more ideas. Some ideas gel together nicely; others seem to be incompatible. The artist may examine and test his ideas, to see if they are valid and viable. At some point, the artist has an "ah, ha!" moment on how to piece his ideas together. There may be multiple solutions and the artist decides which are worth pursuing. The ideas are executed. Some succeed; other's don't. Then the cycle begins all over again. So how does this all affect our decision to call our company Janusian Gallery? One of our co-founders, Lynne Guimond Sabean, is both a licensed attorney and a juried fine artist whose work has been displayed in the Smithsonian Castle and internationally. One career is predominantly left-brained (law), while the other is predominantly right-brained (art). On their surfaces, Lynne's two professions seem incompatible in some ways -- one's all about the words, the other's about the pictures. However, she uses the same type of problem solving for both: Janusian thinking. For instance, when writing briefs as an attorney, she understood that a judge having to decide a matter where both sides were meritorious would have to hold contrary perceptions in mind to arrive at his or her decision. So she wrote her briefs and filings to facilitate this process. Janusian Gallery was conceived in a tent in Vermont after a law job ended. Lynne was standing in a a gateway. In one direction was a future in law; in another was a career in the visual arts. She knew enough about art to immediately open up a business, but knew it would take a while to be profitable. While her own law firm could ramp up more quickly, she wasn't willing to make the financial investment to hang her own shingle and felt more secure working for someone else. In that tent, the co-founders of Janusian Gallery -- Lynne and her husband Darren -- imagined a future where they would have an art gallery that they could close whenever they wanted to go hiking. They imagined some sort of building perhaps housing both a law office and an art gallery. They imagined having affiliates selling artwork 24 x 7 and having a supplemental income well after they'd retired from full-time employment. They thought about what didn't work with the current art market and how it could be possible do do things differently without alienating others who chose to sell and promote art more traditionally. They thought about finding good homes for "rescue art": pieces that didn't deserved to be donated to a thrift shop or added to the trash heap. They thought about how to build good old-fashioned face-to-face type of personal relationships with customers, given that most of those relationships would be Internet-based. And they thought about what name would be distinctive and rein in all the seeming paradoxes. "Janusian Gallery" was the natural choice. While we're still at least a few years away from a bricks-and-mortar presence, we're happy with how quickly our pre-launch preparations of building and stocking our online stores seem to be coming together. Here at Janusian Gallery, our goal is to be as expansive as possible. We want to make extraordinary art available to as many people as possible, at reasonable prices. We aim to get people to think about art in new, exciting and different ways. We want people to surround themselves with art in their everyday lives: to wear it, hold it, use it, play with it, and most importantly, love it. We published the Janusian Manifesto to spread our philosophy. By reading this post, you're participating in this movement and we thank you. How Good Does Extra $ for The Holidays Sound? We want to make extraordinary art available and affordable to as many people as possible. As you might expect, that's a lot of work for just two people. While we promote our offerings aggressively online, we know we can't reach everyone who might be interested in our products. You know people we don't know who may be interested in buying our designs. We don't expect you to promote them simply out of the bigness of your heart... and neither does Zazzle. Zazzle's affiliate program pays you a commission on sales resulting from your successful promotion of Zazzle designers like Janusian Gallery. Be your own boss and work whatever hours you please. This could be a good opportunity for anyone who loves computers and wants to work from home. First, if you haven't done so already, sign up for a Zazzle account to obtain a referral ID. 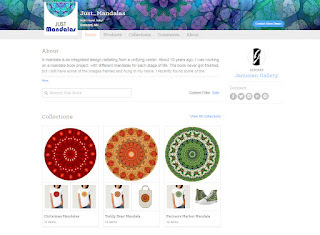 Next, read Zazzle's information on to use that referral ID to earn a referral fee on sales of our products from customers you brought to our pages. Be sure to read the instructions carefully to make sure you're using the right codes to get full credit for the sales you generate. 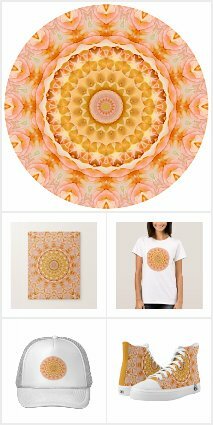 You're not limited to just promoting Janusian Gallery's products and can promote any of the ***billions*** of products for sale on Zazzle. Unlike other affiliate programs, there are no upfront costs: just some "sweat equity" in finding items you like and getting the word out about them. (You may elect to order business card or purchase ad words at your own cost, but to the best of our knowledge, Zazzle doesn't require this.) Curate collections of products that your friends, family and contacts / customers might also like. Finally, because some of our best friends are lawyers, we want to remind you that although we may be recruiting you to be a Zazzle associate, your arrangement is ***entirely*** with Zazzle. We take no responsibility for the results of this arrangement. So we're not responsible for any failure on Zazzle's part to credit you for a sale or any failure to pay you all monies owed. We're also not responsible for things you do yourself as an associate / affiliate. And because we have absolutely no control over Zazzle's manufacturing or distribution process, your sole recourse (and the sole recourse for your customers and ultimate users of the products)for problems with product quality, safety, delivery, and performance is through Zazzle and/or the product manufacturer. Janusian Gallery also makes no representations, promises, or guarantees as to earnings realization or potential. If you do not agree to this, then do not promote our products. 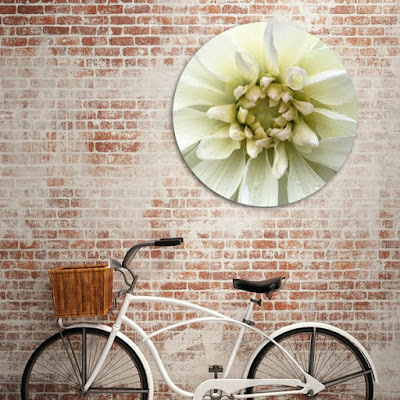 Become a Zazzle affiliate today! Download a copy of this post in PDF format. 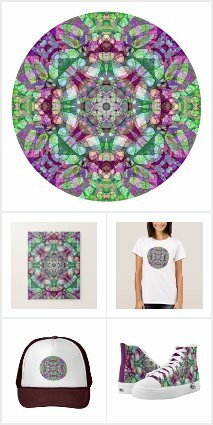 Here are three new designs we recently posted to our Just Mandalas Zazzle storefront. 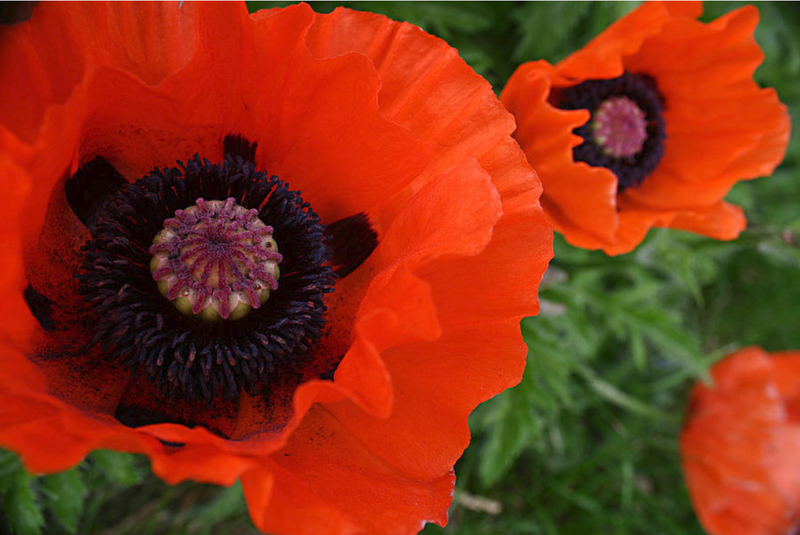 They're inherently Janusian because they're two seeming incompatible things at the same time: a representational photographic image of a flower and an entirely new non-representational design intended to be used as a meditation tool. 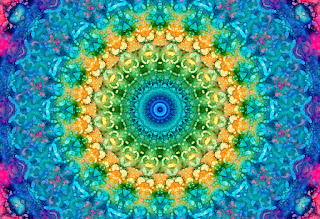 See these and our other photo-based mandala collections at zazzle.com/just_mandalas. Happy holidays from all of us at Janusian Gallery! Here we grow again! 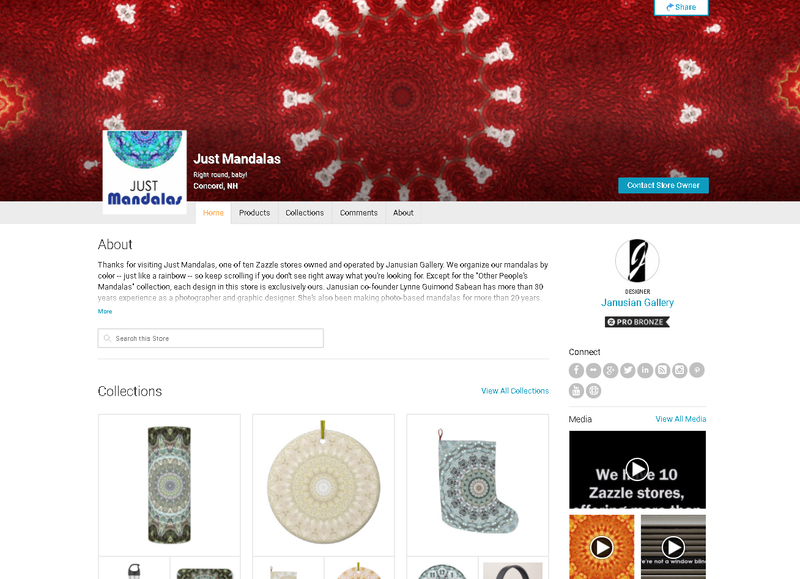 We're pleased to announce the launch of our newest Zazzle storefront, Just Mandalas. Can you guess what we sell? 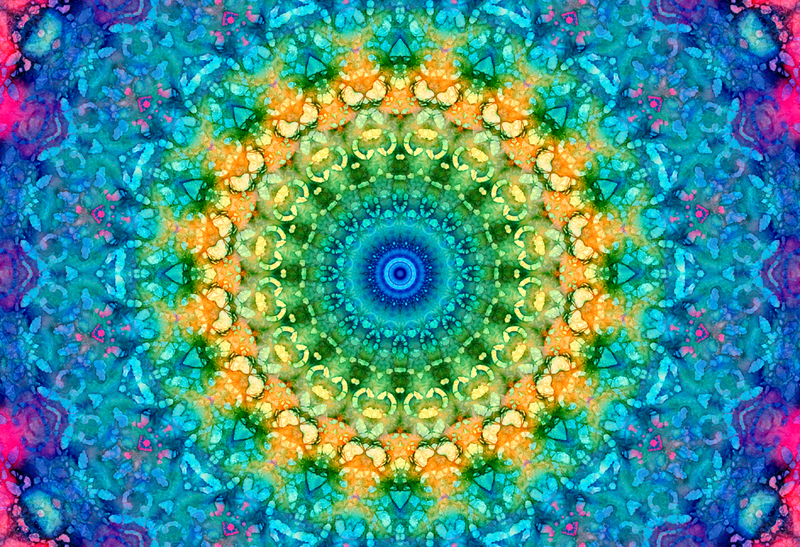 Our mandalas are based on one-of-a-kind photographs by Janusian Gallery artists. Because we create our own artwork, you won't find these exact images from any other designer. 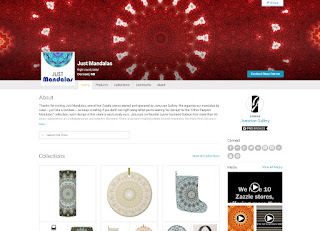 Visit and shop the Just Mandalas Zazzle storefront at zazzle.com/Just_Mandalas. Our vision and values statement, "The Janusian Manifesto", includes a goal of making it easier for people to obtain quality art for their everyday lives at affordable prices. 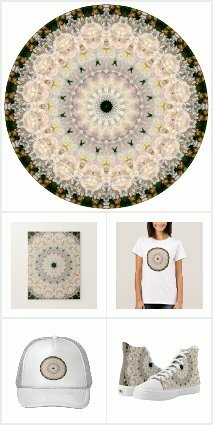 So we're really pleased to announce the launch of our online gallery at FineArtAmerica, offering print on demand art prints. 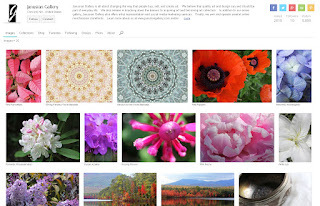 We've uploaded several of our favorite photos and images: hopefully, one is right for you! Red Poppies, available at FineArtAmerica. 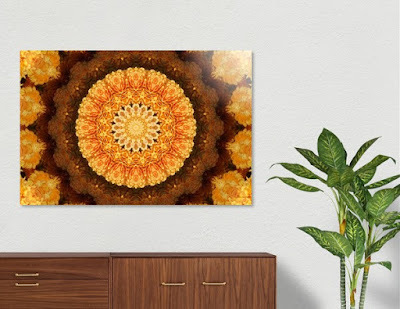 Seasons: Summer Mandala, available at FineArtAmerica. 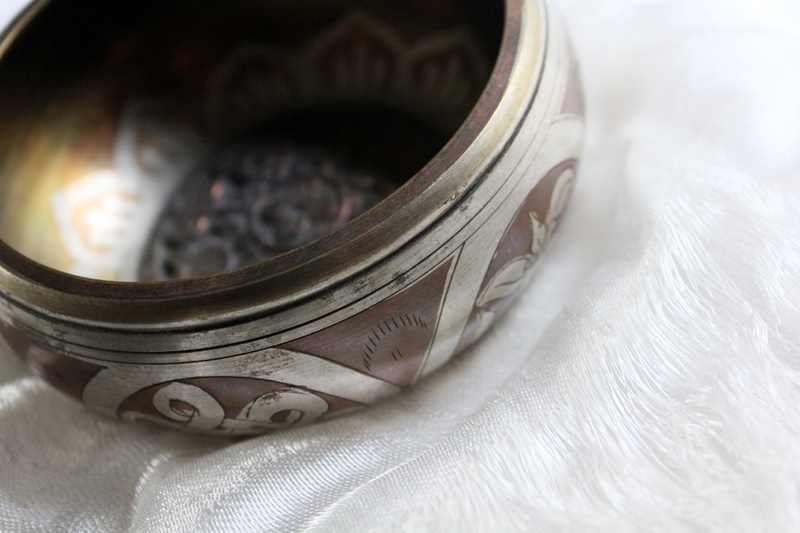 Singing Bowl, available at FineArtAmerica. Take a look around, let us know what you think, and tell us what other images you'd like to see there. No need to dress up (unless you're going to work that day). Bedhead, fleece, bunny slippers are all acceptable. Dress for comfort, not style. No need to embrace your inner warrior. 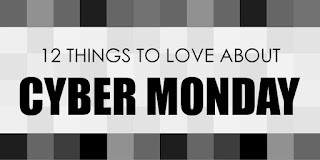 Cyber Monday is much less a contact sport than is its much-maligned counterpart Black Friday. Also, when was the last time you heard of a store refusing to participate in Cyber Monday? No need to circle the mall parking lot desperately trying to find a space. Also, you'll get more accomplished during your lunch hour when you can take driving out of the equation. No need to lug heavy bags around a crowded shopping center. (We all know that it's not the bricks-and-mortar holiday season unless at least one bag breaks, usually when you're trying to juggle 7 or 8 others). No long lines at the "food court" (a/k/a your own kitchen). Unfortunately, you may have to make your meal yourself. It's easier to price check and comparison shop. Go from store to store quicker, at a pace even a champion marathoner couldn't do on foot. You won't leave your coupons at home. Store are getting "smarter" and optimizing their sites for mobile devices. Incentives, like double points or free or discounted/upgraded delivery. Makers are actively creating new and fresh merchandise and posting it to their online storefronts for your consideration. It's easier than ever to find an uncommon gift for that special someone. 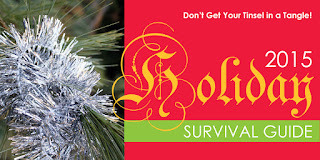 Dreading the "Holiday Maul"? Online shopping is a convenience alternative. 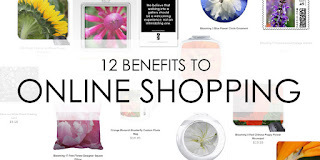 The following is a list of some of the many benefits of shopping from your PC or smartphone. Shop on your schedule. You'll never arrive just as the doors are locked. You'll never be asked to leave because the store's closing. There's never a line. You don't have to deal with the crowds. The Internet is the world's largest shopping mall, with stores and selections from around the world. Instant access to some of the year's "hottest items." No aggressive sales people (unless you count those pesky "May I Help You?" pop-up boxes). No "fluorescent light, fun house mirror" dressing room trauma. Try on apparel in the privacy of your own home. It's easier and faster to find deals and price check. You don't have to go out in bad weather or warm up the car before leaving the store. No disapproving glances from store personnel when you want to return an item. No one will notice if your child throws a tantrum while you're trying to check out. Your shopping cart will never have a wobbly wheel. Gift cards are certainly convenient, but there's something extra-thoughtful about a hand-selected and wrapped gift. 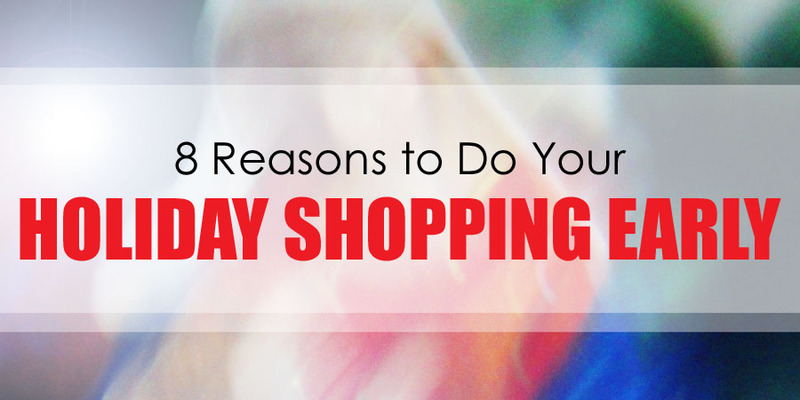 Shopping early increases the odds of your successfully finding the gifts that'll bring smiles to their faces. There's more time to find just the right gift. Odds are, you'll have a better selection. Businesses are not stocking as much inventory as they have in the past, especially for holiday decor. When the seasonal items are sold, they may not be reordered until next year. You'll be able to buy when the prices are best. There will be enough time to special-order merchandise that can take months to create and deliver. Spreading out purchases is easier on your budget, because you won't have to pay for everything at once. You can avoid the holiday shopping crunch (unless crowds are your thing). You'll have more time to enjoy non-shopping holiday festivities. 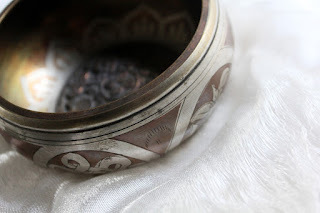 This article originally published on the Janusian Gallery web site. Photo courtesy of Pixabay. Part of the Janusian Manifesto includes the importance of arts education, because we believe that introducing children to the visual arts at a young age nurtures imagination and creativity. We also think that the arts helps children recognize shapes/colors/images and interpret the world around them. Involvement with the arts typically falls into two categories: viewing/appreciating/supporting the arts and creating it. Use your child's natural curiosity. Pick out things they'll recognize. Engage the child. Ask questions. Make it a game. Look for venues with a hands-on component. Let the child take the lead (within reason). Point out colors, shapes, and pattern in everyday life. Creating art fosters self-expression and helps kids organize their thoughts in a visual form. It also encourages creative problem solving and helps the child look at the world around them in a different, more vibrant way. Keep a creativity box filled with age-appropriate supplies (paints, crayons, construction paper, wooden craft sticks, clay, etc.) handy. Before you recycle plastic jugs, magazines, paper towel tubes and the like, consider adding them to the box. Find an appropriate place to display the art your child makes. It doesn't have to be the refrigerator. Decorate a cardboard box together to store your child's artwork longer-term. If you don't have the physical space to store every piece of paper, how about scanning them? 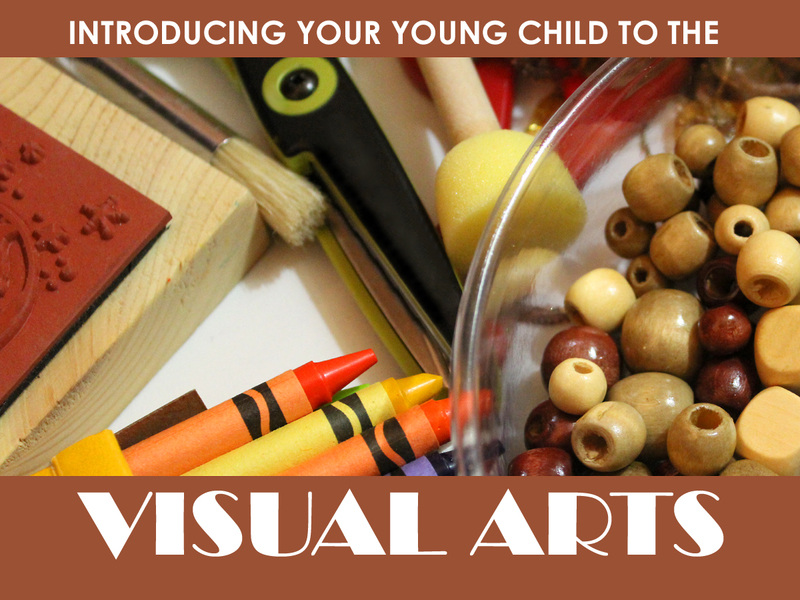 Transform your child's artwork into something you can use everyday, such as a coffee mug, keychain, or water bottle. Print-on-demand vendors like Zazzle make it easy to create items for yourself or as gifts. 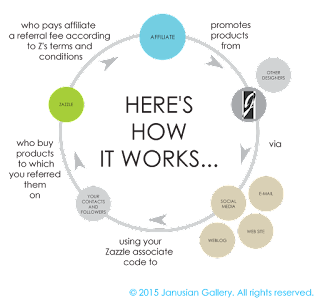 Janusian Gallery is dedicated to changing the way that people buy, create, and think about art. Visit us online at www.janusiangallery.com and/or download a free copy of the Janusian Manifesto here. Before you go online, think about what kind of wedding you want to have. It's your big day and weddings can cost a lot of money. While you and your fiance want to be gracious hosts, your wedding should ultimately be about what the two of you want, not what you think will impress your friends and families. If you had to describe your dream wedding to someone, what adjectives would you use? Elegant? Casual? Rustic? Bohemian? Beach or destination? Does a certain color of motif come to mind? Think about what kind of wedding invitations will best express your theme. Don't worry if nothing -- or too many different things -- immediately come to mind. Once you're browsing your invitation options on various storefronts, you'll get a better feel for what you and your fiance like and want to send out. If you're ready to order wedding invitations, you should have an idea by now of how many guests you want to invite and how many invitations you'll need to order. 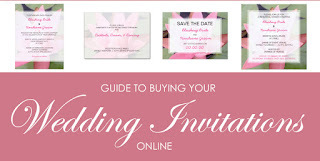 Keep in find that many sites -- including Zazzle, where we offer our invitations -- run great sales on wedding stationery. 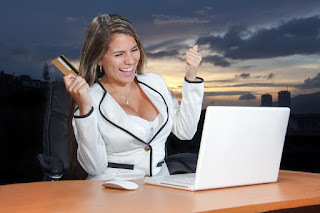 This means that invitations that might otherwise be too pricey are now within your reach. So plan ahead for the best prices. Reputation: One of the great things about the internet is that you can research your vendors before you buy from them. It's impossible to please everyone, so don't let one or two bad reviews deter you. But if your Googling shows nothing but hating about a particular wedding invitation company, it may be better to choose another one. Turnaround Time: How quickly do you need your invitations? Wedding Invitations usually go out around 6-8 weeks before the wedding, longer if it's a destination wedding. Are you sending out save the date cards or magnets? There's not as much of a rush on these, as they usually go out between 4-9 months ahead of the wedding. Turnaround times are established by the online vendor -- not the individual storeowner -- with the printing companies they use. Will you be able to get your invitations soon enough? Mistakes can happen, so would there be time to reorder if you need to? Be sure to factor in things beyond the vendor's control, like delivery mishaps. Customer Service: Ideally, things will go flawlessly, but that's not always the case. What if you need to cancel or change your order after placing it? If you require help with your wedding invitation order, is someone available to help you and, more importantly, are they responsive to your needs? Guarantee and Refunds: Zazzle offers a 100% guarantee on the products they sell. Make sure your vendor does the same. There's nothing worse than having to pay twice for something or having to send out an invitation that doesn't make you and your fiance happy. Selection: The store company with 50,000 styles to choose from only has a large selection, not necessarily the best. Quantity doesn't mean that a storeowner has the design you need. 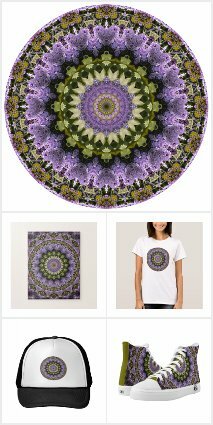 We've found that some of the smaller Zazzle shops have the best collections, because care and attention has gone into every aspect of creation and production detail. For instance, our shop, Be There Invitations, has fewer collections of invitations than many other shops. But each of our collections features custom photography you won't find anywhere else. Better yet, we offer our invitations at competitive prices. We know we can't be all things to all people, so we try to be among the best for the discriminating bride-to-be. Size of collection: Once you've decided on a style of wedding invitation you like, check to see if all the coordinating pieces you want -- like reception cards, RSVP cards, and the like -- are displayed there. Your bridesmaids and family members may want bridal shower and bachelorette party invitations in the same theme as your invitations. Does the store owner include these as well? Some storeowners don't include items that are less frequently ordered, such as bellybands, "advice for the couple" cards, or "Will you be my bridesmaid?" cards. You may also find an invitation you love, but would really prefer it in another color. Many storeowners are available by e-mail and would be happy to create a new product or modify an existing product for you upon request. Ease of Use: While two invitations may look similar, one may be much easier to order than another. This is because many storeowners create their own product templates and they don't always do correctly. Did the storeowner make it easy for you to order? Did he or she rename the fields to something intuitive? Can you change the layout of the invitation to add, delete or rearrange information or is everything locked down? If the template isn't working the way it should, consider e-mailing the storeowner with your concerns. He or she may be unaware of the problem and could easily fix it for you. It may be tempting to place your entire order at once. Unless you're under a time crunch, just don't do it. Design an invitation in two or three of your favorite designs and order just one of each. Look at the print quality, the layout, and the type of paper. Ask your bridesmaids and family members for their input. Mail an invitation to yourself to see what it looks like after going through the postal service. Are there any upgrades you want to (or should) make? Once you're happy with your final selection, place your full order, including a few extras. And again, keep in mind the timing. 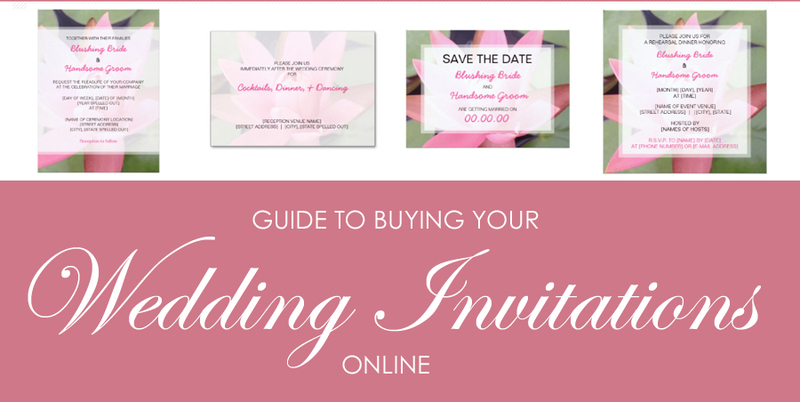 Zazzle and other online vendors occasionally run sales on wedding stationery, allowing you to obtain just the invitations you want at a better price. Online ordering is a convenient way to get exactly the wedding invitations you want at a reasonable price. On behalf of all of us at Janusian Gallery and Be There Invitations, congratulations on your engagement and best wishes for a happy future. Love it. You're going to have to look at your art everyday, so be sure it's something you'll enjoy being around. Buy the best pieces your budget will allow. Keep an eye out for work that speaks to you and learn about who created it. Build your collection slowly. Your tastes will evolve over time. Understand the big picture. You're not just buying something for your wall or flat surface, you're supporting an artist. The local market is better than you think. There are hidden gems everywhere: at art fairs, student art exhibitions, etc. Supporting local artists builds a strong community. Work with a gallery you trust. The kind of gallery you'll want to do business with will work with your budget and introduce you to art pieces you might not find on your own. 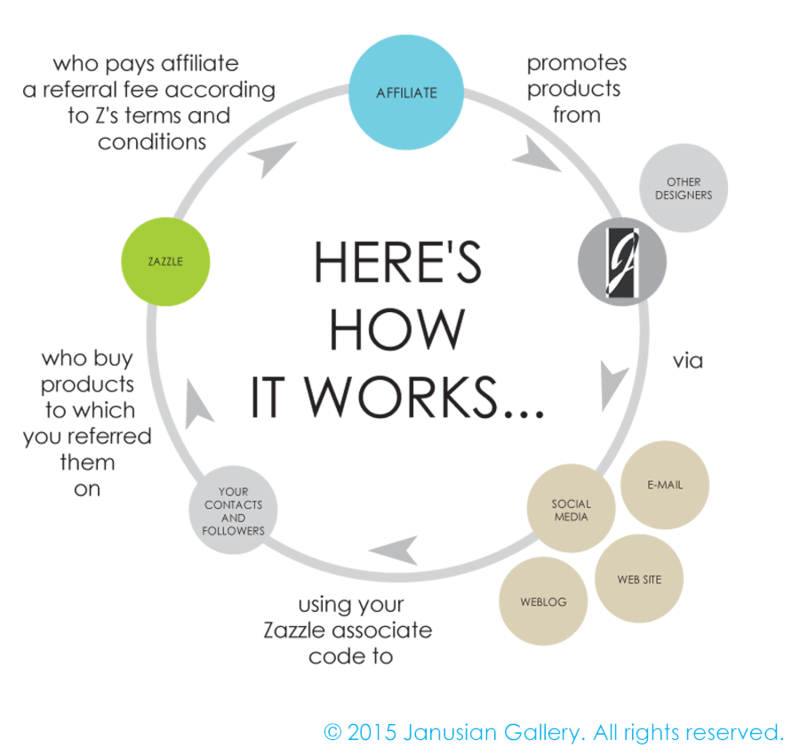 Janusian Gallery is dedicated to changing the way that people buy, create, and think about art. Visit us online at www.janusiangallery.com and/or download a free copy of the Janusian Manifesto in PDF format here. "Good enough" is good enough. Lighten up, relax your attitude, and enjoy the season. Don't make things harder on yourself than they have to be. Indulge (within limits). Deprival makes you want what you're restricting even more. Give time and/or money to charity. It makes you feel good and reduces cortisol levels. Don't let the clutter pile up. A clean and organized view has a calming effect. Get plenty of sleep. It's essential to your health and well-being. Among its many benefits are healing and repair of your body, improved memory / alertness, and better quality of life. Shop (and wrap) early. There'll likely be fewer shoppers, it'll take less time, and you may get better prices. Don't overcommit to social events. 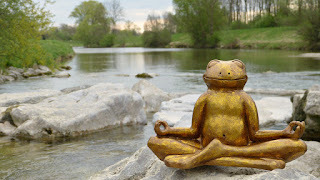 It's OK to say no: you don't have to go to everything. Recharge your battery. Go for a walk. (Shopping doesn't count.) Participate in a favorite hobby. Take a warm bath. Be flexible. Unexpected things can and do happen. Count your blessings. It'll keep you keep things in perspective. Odds are, you're luckier than you think.